December 10, 2013 | LizT. 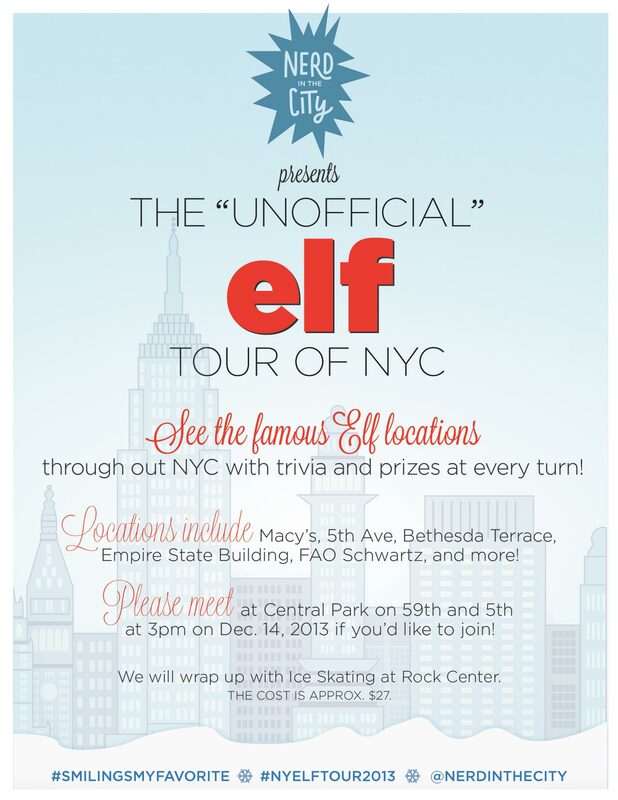 All nerds (and normals) are invited to come out this Saturday for Nerd in the City’s unofficial Elf tour of NYC. Check out our poster below. How cool! If I were in the city, I would totally do this! Alas, I’m busy traveling throughout Texas and the Pacific Northwest this month.